This episode: Light increases the growth even of some bacteria that don’t harvest its energy! This episode: Viruses infecting cyanobacteria can produce proteins that actually help their host capture light better! This episode: Algae growing in Arctic snow make red pigments that heat up their surroundings! 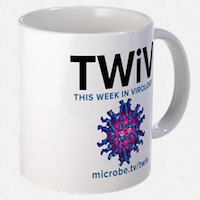 This episode: Viruses infecting photosynthetic bacteria could transfer immunity to other viruses between their hosts! This episode: Microbes with complementary abilities help each other grow and produce useful stuff from the air! Some fungi change from making plants sick to being helpful to plants! How do plants react to them? Spherical cyanobacterium Synechocystisacts like a tiny eyeball in sensing light, allowing cells to move closer to light sources! Cyanobacteria in biocrusts produce pigments that heat their surroundings up to 10 degrees hotter!